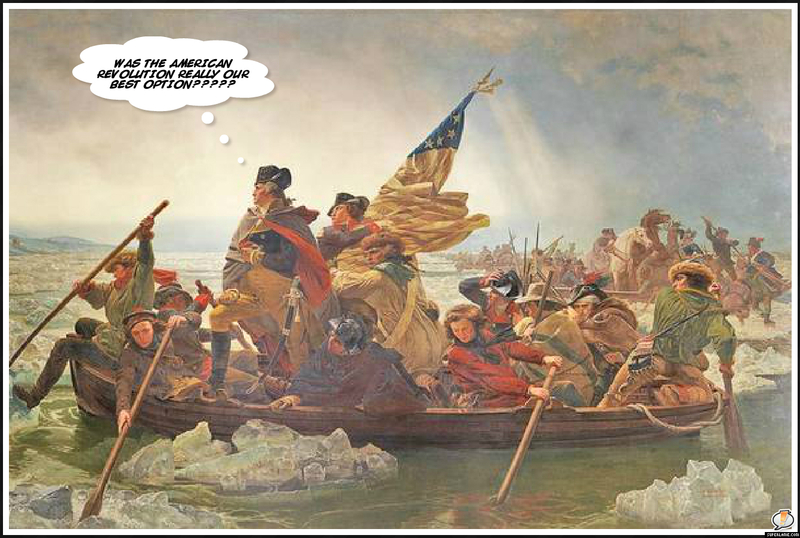 Was the American Revolution a Mistake? Teaching History as Choice. I bet that title got your attention, didn't it? Well, I'm sure that was Mr. Burton Weltman's intention when he came up with it. However, before you go assuming that this is some sort of revisionist history book, pump the brakes. Mr. Weltman, an unabashed history nerd, takes aim at the downside of being a history nerd, which is the assumption that everyone must love history as much as us. This leads to a disconnect between many students and their historiophile teachers (yes, I just made that word up). To start, Mr. Weltman takes issue with the way that conventional history is taught: X leads to Y, which causes Z. It's not surprising that history has been taught this way; it allows students to make connections between events and analyze the causes and effects of historical movements. However, this strategy also places fetters on learners and may prevent critical thinking. This is where Mr. Weltman's revolutionary (pun intended) method comes into play. Rather than learn history through a never ending chain of causes and effects, Weltman has unlocked the manacles of traditional historical learning through what he calls "studying history as choice." Weltman makes the argument that historical actors did not exist in a vacuum, and certainly did not have the luxury of hindsight that we have. Leaders and average citizens alike behaved and made decisions based on the cultural environment and information that was available to them at that time. Weltman scoffs at the idea that historical events were inevitable and always for the best. True critical thinking is always ready to challenge even the most cherished beliefs in order to develop a more well-rounded and insightful understanding of them. 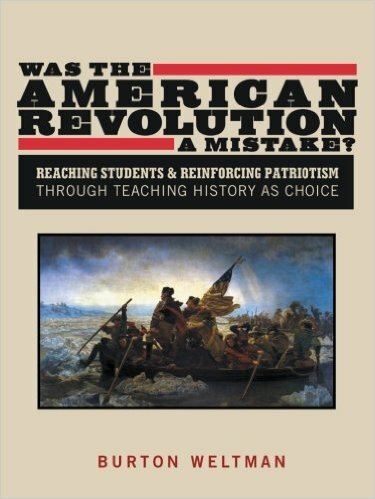 Can a case really be made suggesting the American Revolution was a mistake? When you teach history as choice, you give your students the tools necessary to make up their own minds by analyzing multiple perspectives and finding evidence. The book is organized into two parts. Part I covers the rationale for teaching history as choice. Part II provides the reader with 13 historical scenarios and essential questions to use Mr. Weltman's method. If you are interested in seeing a snippet of the book, use this link to see a Google Books preview. The Stanford History Education Group (SHEG) is revolutionizing the ways in which social studies teachers deliver content. This program gives every social studies educator the information they need to teach the subject the way they have always wanted to teach it. The program combines cutting edge educational research with myriad primary source documents. One of the most difficult and time consuming tasks for social studies instructors is creating worthy Document Based Questions (DBQs) and History Assessments of Thinking (HATs). For many educators, there is simply not enough hours in the day to find the necessary material to create these complex assessments. SHEG reduces assessment anxiety by consolidating primary sources into one easy to use website. These assessments were created by instructors (Sam Wineburg, social studies superstar) and students involved with the Stanford's History Education PhD program. Social studies has never been a favorite subject for many students. Perhaps this can be attributed to the incredibly mundane way that it was taught in the past. As I'm sure many of you can attest, being lectured at for 45 minutes (or more) is not the most exciting way to learn. In recent years, social studies has seen an incredible boost in popularity. This can be accredited to the shift in pedagogy taking place within the social studies. When done correctly, teaching social studies today is less about lecture and more about engaging activities that allow students to participate in "doing history." Understandably, it is much easier to maximize student growth when you're teaching a student their favorite subject. In this vein, Brown University's Choices Program emphasizes teaching history as a choice rather than the inevitable slow crawl towards destiny. This method assumes that, when given the correct primary sources and activities, students will develop the necessary critical thinking skills to "get inside the heads" of the people making important decisions. This creates students who are active participants in education rather than passive recipients of historical content knowledge. Today, I have the opportunity to share an extremely cool technology, called TouchCast. I came across TouchCast a few years ago when they were still beta testing the program. What I saw blew me away. And they have gotten much better since then. TouchCast is a video recording app (now available for download on PCs) that, in many ways, blows iMovie out of the water. Big words you say? Well don't go deleting your iMovie just yet, as it is still the benchmark recording tool. 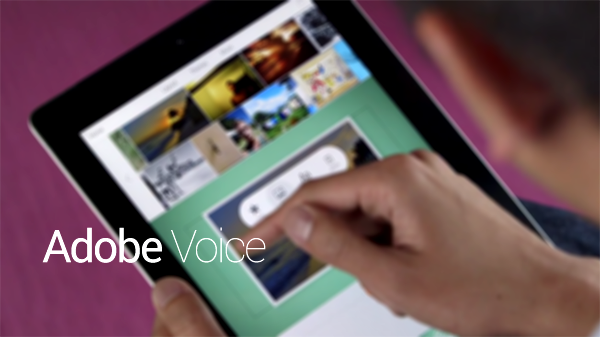 However, TouchCast does bring many new options that might just tempt you away from iMovie. For those teachers who have been living under a rock for the past few years, the new catch phrase of the moment is flipped teaching (or flipped learning, flipped lessons, or any other "flipped" phrase that you can think of). Flipped teaching is thought of as complicated by some technophobe teachers, but it can be described as simply as "a method in which teachers record mini-lectures that students watch for homework." These lectures provide students with a foundation of content knowledge and ipso facto, allows teachers to spend more class time on activities and critical thinking. That's basically flipped learning in a nutshell (and if you are an expert flipped teacher, try not to bite my head off for simplifying it too much!). TouchCast allows the creator to film short video clips (I found out the hard way that the limit is 5 minutes). Simply set up your iPad or iPhone in a well lit area and film your lecture. For those who are camera shy, you can also use a photo from your files and set it as a background throughout the video (or use one of the many stock backgrounds offered by TouchCast). I have always been a bit wary of the influx of corporate business funding into education. I'm not anti-business by any means (and I know that in this climate, schools need all the financial assistance they can get) however I think education is served best by a separation of school and business. My classroom experience with Scholastic has been less than exemplary (selling programs to schools that might not fit the curriculum, but hey, they are a business, and the number one goal of businesses is to make money) so I was a bit tentative when I heard of a new web tool/app launched by Scholastic. The tool is titled "Class Messenger" and boy is it fun! 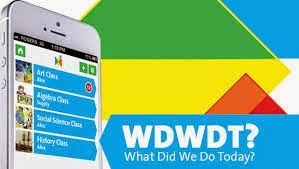 Class Messenger was originally developed by Keith McSpurren, with the unfortunate title "WDWDT?" (What Did We Do Today). Top 3 iTunes U Courses For Social Studies Teachers!!! What can I say? I love learning; and there is no better way to improve my social studies content knowledge than through taking a course at an elite university. What's that you say? You can't afford the tuition? Don't worry about it. I have a way for you to get your history fix without spending big bucks. When I first received my iPad, I was extremely excited to try it out. Of course, history nerd that I am, one of the first apps I discovered was iTunes U. For those who are unfamiliar with iTunes U, it's an Apple app that allows the user to download full (and free!) courses from the most prestigious universities in the world. Once you download a course you find interesting, simply tap on the course (listed in your iTunes U library, similar to iBooks) and let the learning begin. Depending on which course you download, you may have access to audio, videos, a suggested reading list (you must purchase the books yourself of course), presentations, PDFs, or other documents. You can even takes notes directly in this app that are saved to the lecture that you are watching at the time. Some people enjoy music while they work out; I prefer to listen to an iTunes U lecture on my iPhone!!! Want to brush up on your U.S. history? iTunes has a list of courses for you. Teaching a new World History prep next year? iTunes has you covered. These aren't courses from East Nowhere University either; you can select courses from Harvard, Yale, Oxford, Cambridge, Stanford, UC Berkeley and a plethora of other top tier universities. As promised, below you will find my personal recommendations for iTunes U courses to take over your summer break. 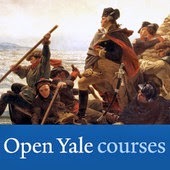 A course offered by one of the preeminent scholars of early U.S. history. These lectures are available in video format so be careful if you have a limit on digital data, as videos tend to use a LOT of your data if you are not connected to a wifi network. Professor Freeman is a remarkable teacher. She is the antithesis of the dusty old college professor. Her lectures are engaging and interesting, while providing the viewer with a ton of content. Her personal anecdotes of researching are peppered into her lectures, breaking the monotony and drawing the viewer in. I would highly recommend this class to any teacher who teaches a U.S. I class. The depth in which Professor Freeman covers such a complex topic as the American Revolution is a testament to her years of research. Class Dojo is an innovative technology that is radically altering the way teachers interact with both students and parents. So what is it exactly? Well, Class Dojo is an educational tool that allows teachers to provide real-time feedback for student behavior. It is available on smartphones, tablets, and computers (although if you want the best experience, a tablet or smartphone is preferred to avoid running back to the computer every time you want to input data). I suggest downloading the app for your device. It's free, easy to use, and fun! How does it work? Class Dojo allows teachers to copy and paste their class rosters to create individual avatars for each student (the avatars are all cute monsters vis-a-vis Monsters Inc.). Students can even edit their avatar for a truly personalized experience. 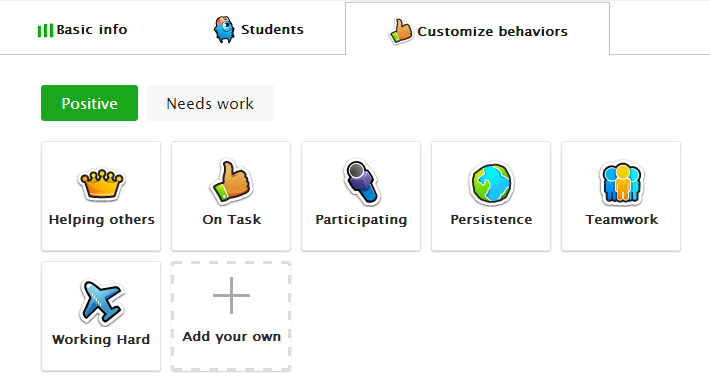 Once students are entered, you can keep track of their behaviors with the click of a button during class. The app comes stock with 6 positive behavior options and 6 "needs work" options. A student made a great point during a discussion? They get a "Participation" point. Student forgets homework? They are deducted a point under the "Missed Homework" button. You can also customize the choices to include whatever behaviors you are looking for. Teachers also have the option to give the entire class (or specific groups) points simultaneously. ThingLink is a web 2.0 tool that allows students to annotate visual images. This tool (available over the web or through their app) can inspire students to “Be creative! Make your images come alive with music, video, text, images, shops and more!” The educational applications are obvious. 21st century skills place an emphasis not only on the simple consumption of technology but on the active creation of a product through the use of new technologies. Moreover, ThingLink allows students to receive practice in media literacy, critical thinking, and collaboration, all of which are important components of the Partnership for 21stCentury Skills (P21). ThingLink is incredibly user friendly and intuitive. Furthermore, this program allows you upload not only annotated text into visual but also videos and audio. It’s as simple as tagging the part of the visual that you want to describe and voilà, a small icon appears (you can choose what the icon looks like and personalize it). After tagging (just like Facebook) you have the option of adding descriptive text, links to videos, or audio. I came across this technology through a post by the Social Studies legend Glenn Wiebe. He is the go-to guy when it comes to anything Social Studies technology and activities. I actually created a Kahoot! specifically for the hiring committee at my current school. They loved it and I got the job. Since that day, I have been sharing Kahoot! with as many people who will listen to me. I share a lot of ed tech with teachers but I can honestly say that Kahoot! is the most popular ed tech tool that I have ever shared. I take a certain pride in knowing that I introduced my school to this really cool tool. Kahoot! allows educators to create interactive quizzes that engage students more than I have ever seen. The gist of the game is for the students to answer as many of the questions (created by the teacher) as possible in the shortest amount of time. The most innovative feature of this game is that it allows students to play along on their own devices. Since Kahoot! is not an app, all the teacher needs is a projector and access to the internet; all the students need is a device (laptops, smartphones, tablets). Once one of the questions is projected on the board, the clock starts and the students search for the correct answer (set on 30 seconds but can be changed depending on time constraints). Below the questions are the 4 possible responses, each in a box of a different color with corresponding shape (triangle, square, circle etc.). The students look at possible responses on the board, select the right one, and click the corresponding color on their device. But wait.....there's more! (In my best infomercial voice) Students compete with each other for the top score (projected on the screen). The quicker they answer, the more points they get (rewarding those who know the content). Students can even pick a nickname (I suggest forcing each student to keep the same nickname to keep track of the data easier). Only the top 5 scores are projected so no need to worry about shaming those who are unprepared. After the quiz, the students are prompted to answer a survey asking to rate the quiz. Once the survey is completed, the teacher has the option of saving the results to an Excel Spreadsheet to keep track of student progress. 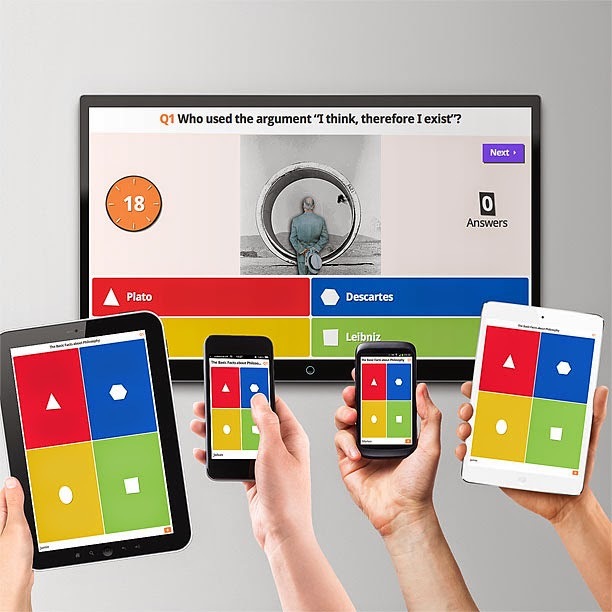 Say goodbye to the lame Jeopardy test reviews and say hello to Kahoot! So what are the applications of Kahoot!? The possibilities are almost endless. Here are just a few that I've thought of.